The Acrostic Guy | Learning Is a Process Not an Event! 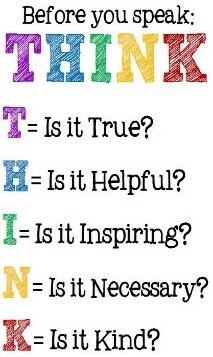 This acrostic sometimes appears as a verb, i.e. INFLUENCE but I prefer the noun version, INFLUENCER. The noun version puts more personalized action into the acrostic and multiplies its impact significantly. Acrostics can help us direct our attention to critical behaviors we need to script to actually make meaningful personal change that sticks. 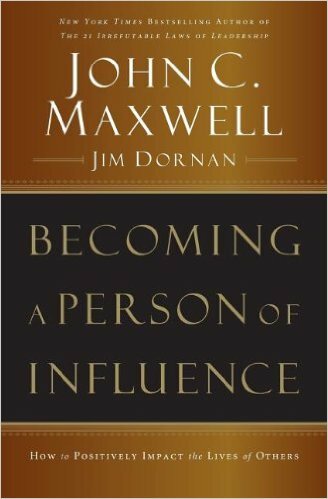 John Maxwell and Jim Dornan, no strangers to facilitating change that works, have done a wonderful job in focusing in on the 10 core behaviors and attributes of a highly effective influencer also commonly known a leader. In fact, leadership is authentic influence that creates value. The INFLUENCER acrostic provides a powerful framework for embracing influence more as something that you earn rather than something that you are entitled to. Main Idea: Cares about people as individuals! The essence of nurturing is to genuinely be concerned for others and be focused on their growth and independence. As human relations expert Les Giblin put it, “You can’t make the other person feel important in your presence if you secretly feel that he is a nobody.” We nurture people by focusing on giving rather than getting. Differentiate yourself by consistently giving in the areas of love, respect, sense of security, recognition, and encouragement. Main Idea: Helps others become bigger! To be an influencer of people you need make a positive impact by coming alongside them and get involved in their lives to raise their level of living, increase their capacity for growth and ultimately their potential for success. If you want to do more for others you have to become more developed yourself. I am reminded about the famous quote, “The greatest obstacle to discovery is not ignorance. It is the illusion of knowledge.” Always strive to help others be the best version of themselves. Main Idea: Initiates positive relationships! Connecting is about opening a channel of communication by paying attention to what people value and need. Understanding and more importantly accepting what people value and need is a prerequisite for developing a “make a difference” mindset. Anytime you don’t believe you can make a difference you won’t. Communication skills, a desire to help people change and grow and a sense purpose provide the foundation for initiating and most importantly sustaining positive relationships. Main Idea: Multiplies leadership capabilities in others! Reproducing other influencers is based on the power of multiplication versus maintenance. Leaders in maintenance mode focus on not losing ground rather than making progress. To make a difference you must strive to become multiplier who moves beyond the synergy level to the significance level. At the significance level leaders develop and reproduce leaders who stay with the organization, work to reach their potential and in turn develop leaders. In an article published in the Harvard Business Review, author Joseph Bailey boldly proclaimed that if you want to raise leaders who reproduce other leaders you need to mentor them. Final Words: This acrostic is powerful, timeless and thought provoking. I recommend your reading Mr. Maxwell’s book to help you understand that no matter what approach or philosophy in life, you are influencing people either positively or negatively. If you are influencing anyway, why not learn how to have a positive impact and a better chance at a leadership legacy you can be proud of. Main Idea: Help them understand it by stripping complexity and ornamentation from your communication – less is more. Main Idea: Help them care and feel something by zeroing in on the emotion that will connect a smaller but potentially more motivated segment of your audience. Main Idea: Help them notice by injecting humour that both delights and focuses attention by breaking the pattern. I believe that ordinary things done extraordinarily well, make the difference in leadership. What could be more ordinary than communication? Communicating extraordinarily well is about connecting by paying attention to what people value and need. Embedding GRABS as a habit will help you do this more effectively. This acrostic is an example of a framework that while intended for a sales audience, has application in many complementary disciplines. 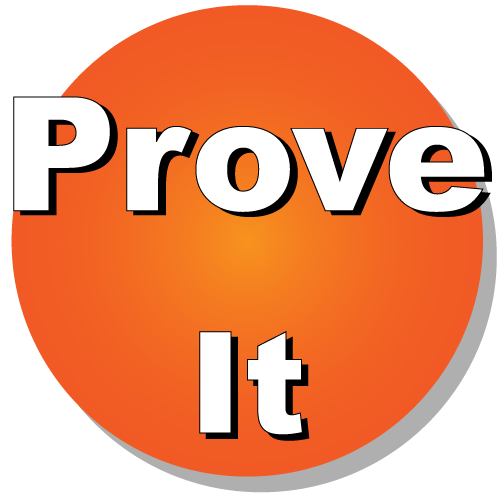 Neil Rackham and his team, wading through mounds of research information over 20 years ago, discovered that asking the questions in the investigation stage of a sale was a big predictor of success. 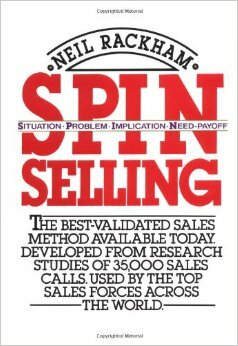 They found that questions in the successful sales call tend to fall into a sequence they called SPIN. Situation, Problem, Implication, and Need-Payoff. Studies of negotiations, management interactions, performance interviews and group discussions confirmed their findings – questions persuade more powerfully than other forms of behavior. The SPIN model provides a powerful tool for connecting the what, how and the why of any business situation. Main Idea: Collect helpful data by asking questions about facts and background. Typical Situation Questions could be: “How long has the current organization structure been in place?” or “Could you tell me more about your organizational culture” or “What is your top strategic priority?” While Situation Questions can have any important fact finding role, people typically fall into the trap of asking too many of them before moving on to the natural next step. Main Idea: With the right context in place from the Situation Questions, successful people then transition into exploring problems, difficulties and dissatisfactions especially in the areas where your product or service can be of value. For example they would ask, “Is this process difficult to manage?” or “Are you worried about the quality you get from current system?” or “Is your group meeting their productivity targets?” In contrast to the Situation Questions, people typically do not ask enough Problem Questions. As a result, both parties prematurely begin focusing on solutions before a validated problem statement is agreed upon. Main Idea: Questions focused on the implications or impacts of the problem help successful people explore its effects or consequences. In the sales world, these type of questions help the customer understand the problem seriousness and urgency. This same principle holds true when leaders need to sell concepts and ideas to their team who may not understand the “burning platform” nature of the situation. Examples of implication questions could be “What effect does this reject rate have on customer satisfaction?” or “How will this problem affect your future profitability?” Just like in the sales context, even experienced leaders and managers seldom ask them well. Main Idea: Questions focused on flushing out the benefits for solving the problem help your client or stakeholder both understand the context and take ownership for taking action. Successful people are as adept at facilitating the right answer as they are providing the right answer. Key facilitating questions in this step could be “Would it be useful to speed up this operation by 10%?” or “If we could improve the quality of this operation, how would it help you?” In the sales world Neil Rackham and his team observed that top sales performers particularly in large sales, asked more than 10 times as many Need-Payoff questions as average performers. Final Words: While the SPIN model implies a logical question sequence, its real power is in its flexibility of application. Think of it as a proven framework, not a methodology, for helping your client articulate explicit needs. Successful people in any field pay attention to what their stakeholders’ value and need.